Ramadan bayram (holiday after finishing the fast) has started and this year will be longer, which is good news. This post was written on Tuesday but I get to post it just now. I’m so busy right now and will be even more so for a few months. 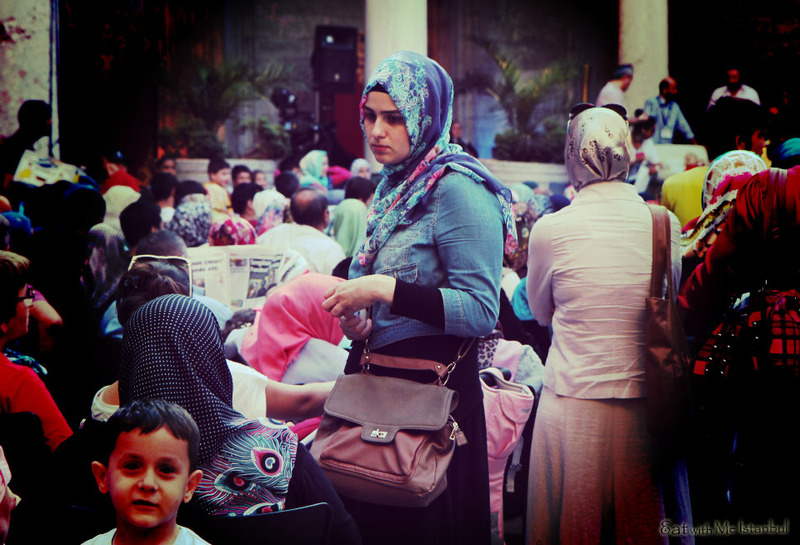 Ramadan means something different for people who have different beliefs and values. Nevertheless, the one thing that is shared by many is that it is an once-a-year event, which reflects a big part of the culture. Whether you fast or not, you try to get the most of this holy and festive period. Now the end of this madness of late night eating is less than a week away. People must be fed up with pide – I can’t wait to get my regular sourdough bread – and the genetic set menu, so called iftar menu by now. 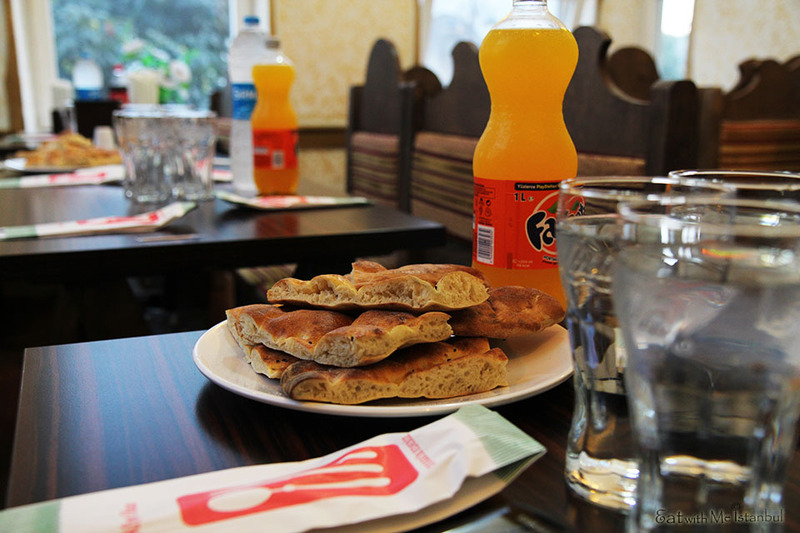 Iftar means ‘break fast’ and consists of simple food, most commonly dates, pide, or soup. But these days many restaurants seem to make an event out of it. I don’t want to get into the religious side so let’s skip to the gastronomic side of Ramadan. Have you heard of “Mosque Crawl“? I’ve done a pub, bar or cafe crawl or even a burger and ice cream crawl but never a mosque crawl. What it means that if you visit 7 mosques and do 7 prayers in a day, you will get good points, from God supposedly. 4 of us, a good Muslim, a non-Muslim once Muslim who doesn’t fast, an atheist and a spiritualist, paved our way up to the Sultanahmet square, spotting and visiting mosques. For locals, it’s a good chance to be reminded of memories of the city they live in and for expats, it’s a good chance to explore backstreets and discover new things through the eyes of locals. So, huoop, huoop, our first stop was Yeni Camii (New Mosque), and we let him pray while observing and taking photos. Big mosques hold talks and shows during Ramadan. I can’t post all the photos of the mosques. So finally we arrived at Sultanahmet where we will be breaking the fast. Crowds of people were spread across the square, some siting on the grass picnicking behind the fences and some at the tables set up by the municipality. There were all sorts of street foods and vendors were delivering food in containers, too. Mr.O and I walked around imagining it as a jazz concert or some sort, feeling like tourists all over again, while soaking up the excitement and the preludial itch, waiting for the prayer, “ezan” announcing “Iftar“. 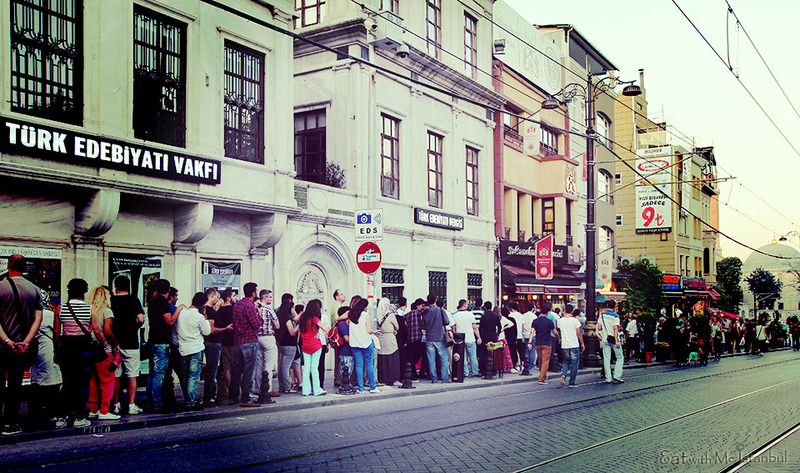 Worried that we might not be able to get a table, we headed over to the restaurant streets, and on the way, we saw this huge queue of people waiting to get into the oldest, hence famous kofte restaurant. I personally don’t like their kofte, which has somewhat artificial hamburger-like taste but people go there because it’s in the middle of the most touristic place and is recommended by guide books. Ok, but later it made sense to me why people were lining up for that meatball restaurant. During Ramadan, many restaurants only offer a three course Iftar menu at a fixed price, but the menus are mostly the same and expensive for what you get. Some locals don’t approve of the idea of set menu for that reason, saying that restaurants overcharge people because they simply can because it’s special – mind you, not in a culinary sense though. So if you ever travel to Istanbul during Ramadan, don’t consider eating dinner in restaurants that offer an Iftar menu. After having a very poor Iftar meal there, we went to Eyup for Beskardes Dondurma and a relaxing tea time at Pierre Loti. However, our plan changed dramatically when we stumbled upon an open food market! I was so excited seeing real Turkish regional foods. This is what I’m talking about! How can I give a miss to these scrumptious foods, especially the real tandir kebab and the real Rize kavurma being cooked right in front of me. 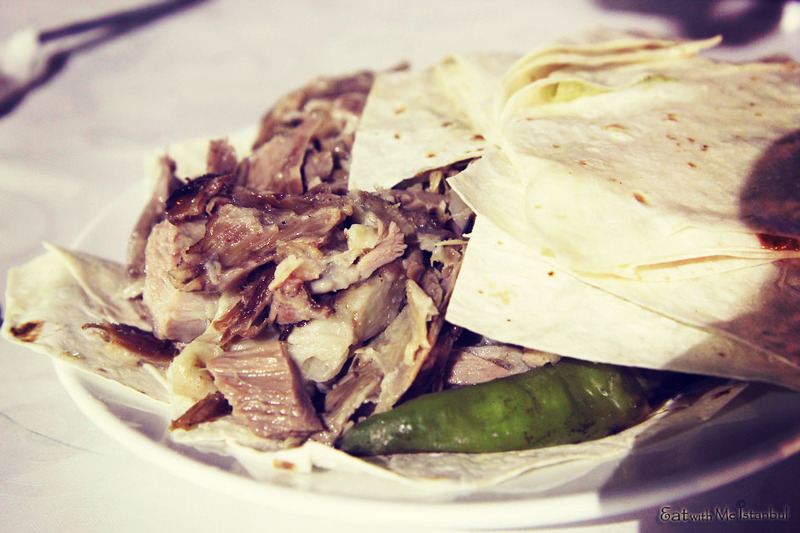 Usually, the odor from most kebab restaurants, especially the Sultanahmet area, is quite off-putting to me because of the low quality lamb meat being used. That’s one of the reasons that I don’t like walking around in that area for food. But there is a different meat smell in the air in Eyup, so sweet, warm and delicious, and the reason is because this is the area where regional and conservative populations are living. So they cook for locals, not for tourists. At this market, and the biggest kunefe, the grilled cheese dessert, entertained my eyes. I pictured a whole family pigging out on it. Seeing the excitement plastered all over my face, they asked me if I wanted to have some of the food. I hesitated, regretting having had food earlier. Oh well, it’s Ramadan after all, so let’s party! We ordered two portions and I was the one who polished the whole plate, smacking my lip and praising the meat all the way. It was darn delicious, truly, and it’d been a long time since I had really good meat outside. The other 3 were watching me gobbling down the meat and the fat and all as if I’d been fasting for a few weeks. Mr.O asked the vendors about the opening hours on my behalf because I was planning to come back on the weekend during the bayram. Luckily, it will be open for three more days after Ramadan ends. Many people who you don’t normally come across were out enjoying the night. So if you haven’t been there yet, it’s worth a visit. It opens from 3pm so you can have food and walk up to Pierre Loti, which we couldn’t go because it was already too late, 11pm. It’s finally the time for the famous and the oldest ‘five siblings ice cream, which Mr.O was so excited about trying since I’d been raving about it ever since my first visit there last year. 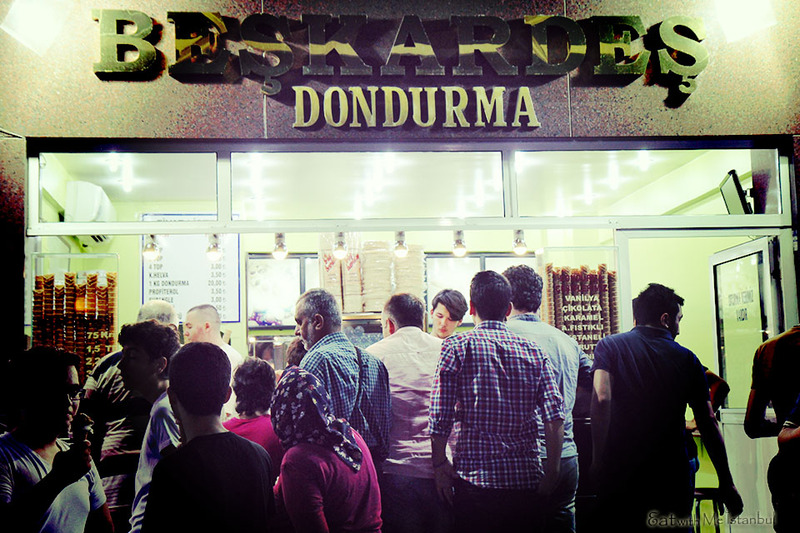 How can it be compared with Ali Usta, another famous ice cream shop in Moda, Kadikoy? 20 cents vs 1 euro? I like the small scoops here, so called “baby scoops”, which is good to take the edge off your craving when you feel like ice cream but don’t want too much. I usually eat the pistachio flavour or lemon but this time I took chocolate but it wasn’t as good as the others. For chocolate, Ali Usta is better, darker. Anyway, this night benefited all four. 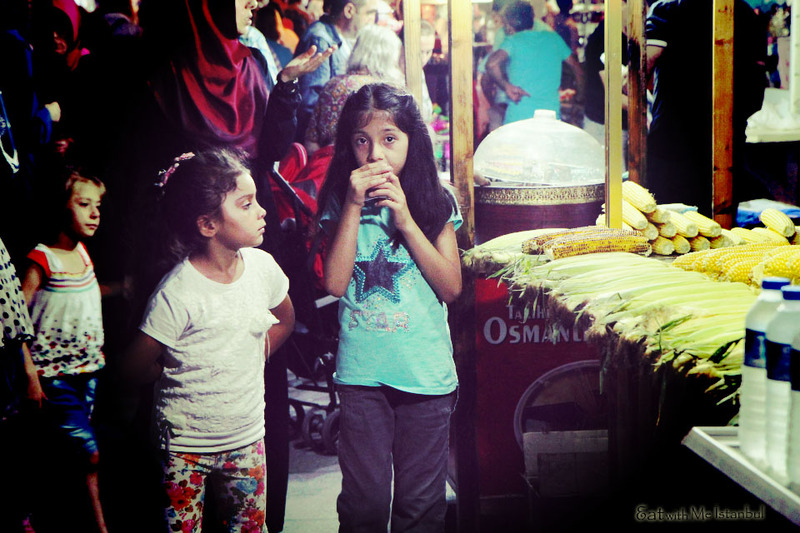 The mosque crawl, the unveiled ice cream myth, the satisfactory Turkish kebab, and the overcoming the underground phobia, which caused a bit of squabble for getting us back home by the Marmaray underwater metro. The evening started off with the lead of the locals and ended with the guide of an expat. How great! They thanked me for introducing this nostalgic ice cream. 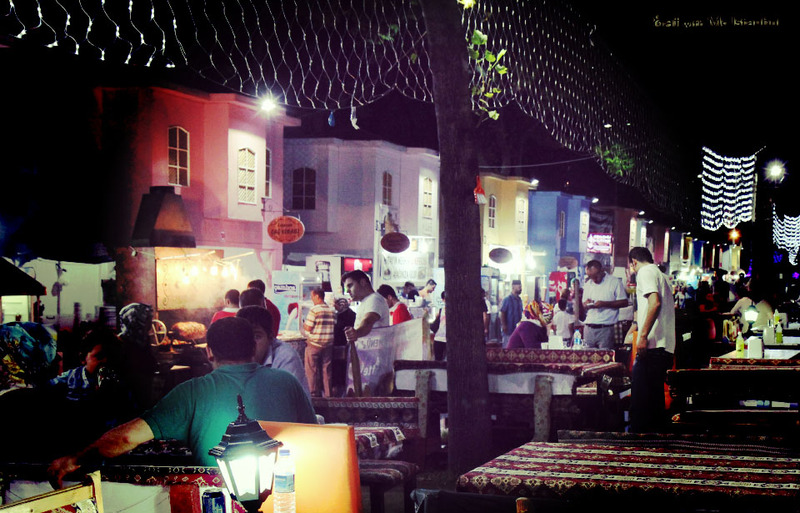 In conclusion, the best place to experience the real spirits of Ramadan or real Turkish food is Eyup without a doubt.